How to wear seductive red lippy this season. Pick the “Right” Red: Girls with yellow undertones will look better with warmer reds and similarly if you have a light/pink complexion you will flatter the plumy red shades. Prepare your Lips: Exfoliate and scrub your lips to get rid of chapped & flaky skin. Red bloody skin peeling off your lips is the last thing anyone ever wants to see. Rest of the Face: Go light on the eyes and cheeks or else you might end up looking like a clown. Line your lips: Trace your lips with the closest possible red lip liner to your lipstick to define their shape. 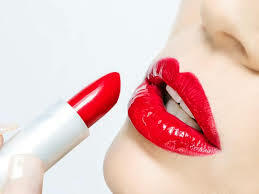 Red lipsticks tend to bleed, so fill up your lips with a red lip liner. Be precise in applying red lipstick and use a lip brush for perfect application of color. 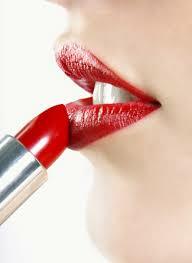 Prevent “Bleeding”: Apply a little concealer around the lips to avoid lipstick to stain. Also, blot your lips using a tissue paper to get rid of excess color on the lips which can easily get onto your teeth. This is perhaps the most important rule of hem all! Avoid The Red on your teeth.To Achieve that, swirl your index finger inside your mouth and remove. By that the extra lip stain sticks to your index fingers and hence saves you from any further embarrassments. There you go! Go rock the red lips this season with these easy tips. Previous Post Double D Drama :: The Multiple Belts Statement! Next Post Let’s Go Floral…Again!